Whitney Houston wil be laid to rest after a private, invitation-only funeral at her childhood New Jersey church, instead of a public memorial at a Newark arena. The 18,000-seat Prudential Center had been planned as a setting for a public memorial, but the family decided overnight to keep services private, NBC New York reported. 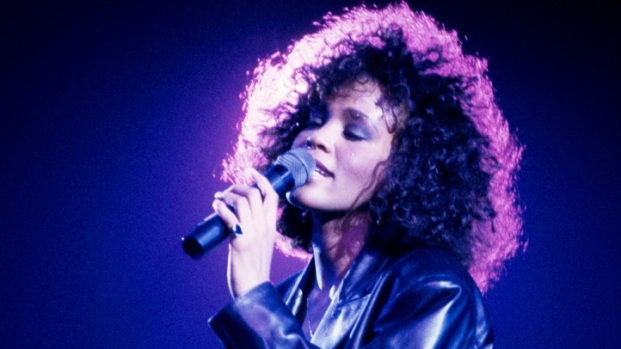 "Whitney has shared her entire life with the public. This is her final farewell. Let her family share that time with her," said Carolyn Whigham, owner of the funeral home handling the arrangements. The private funeral will be held Saturday at noon at New Hope Baptist Church, where Houston got her start singing in the choir. The family is "planning a joyful celebration of life," according to the Rev. Joe Carter. "It's going to be a very musical celebration," Carter told NBC New York, "and we're looking to help the family grieve and mourn the loss, and at the same time, add some joy to this very sad, sad moment." Carter said the eulogy would be given by Marvin L. Winans, a gospel singer and longtime friend of Houston. The funeral is scheduled for noon and will not be open to the public or media, organizers said. The church seats about 1,500. Gov. Chris Christie said flags will fly at half-staff throughout the state on Saturday. Thousands more had been expected to attend the Prudential memorial, which showed Houston's face in lights Monday night in tribute. Crowds will likely swell in the area around New Hope Baptist Church instead. Houston's family is asking that any donations in her memory be sent to the arts-focused public school that she attended as a child and that is now named after her. In lieu of flowers, they said mourners should donate to the Whitney Houston Academy of Creative and Performing Arts in East Orange, where she was raised. Houston attended the school as a girl when it was named the Franklin School. She was a regular visitor for many years afterward. Complete Coverage: "Whitney Houston: 1963-2012"
Houston’s body was flown to New Jersey on board a private Gulfstream IV jet Monday evening. The plane departed from Van Nuys Airport in California at about 3:10 p.m. PST and touched down at Teterboro Airport just after 10:30 p.m. EST. 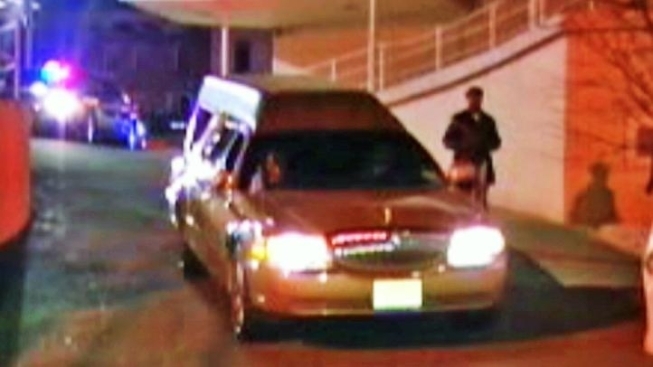 Police escorted a gold hearse carrying Houston's body to the Whigham Funeral Home. Grieving fans were waiting outside as the hearse arrived, the "Today" show reported. Houston was born in Newark and got her start as a singer in the choir at New Hope Baptist Church. Her mother, Grammy award-winning gospel singer Cissy Houston, led the musical program at the 112-year-old church. Whitney's cousin, singer Dionne Warwick, also sang in its choir. Mourners have been flocking to the church since the news of her death. The White House also paid tribute to Houston. President Barack Obama's thoughts and prayers were with Houston's family, especially her daughter, Press Secretary Jay Carney said. He praised the singer's "immense talent" and called it a tragedy to lose somebody so gifted at such a young age. Jennifer Hudson, who performed the Houston hit "I Will Always Love You" at the Grammys on Sunday, said in a statement that it was the "greatest honor of my life to be able to be the one to pay tribute to Whitney's memory." "It was from my heart. I haven't stopped crying since she passed," she said. Music producer Harvey Mason Jr. told "Today" Tuesday that in the week leading up to her death Houston was hard at work with him in the studio, optimistic and in "good spirits." "I thought we had a really good session, productive,” Mason said of their Tuesday recording session for the upcoming film "Sparkle." On Monday, the Los Angeles County coroner’s office and Beverly Hills police department released new details about the circumstances of Houston’s death. Lt. Mark Rosen, of the Beverly Hills Police Department, said that the pop superstar was discovered "underwater and apparently unconscious" in the tub at the Beverly Hilton. Prescription pill bottles were found at the scene, but the amount was "less than my medicine cabinet," L.A. County Assistant Chief Coroner Ed Winter told reporters. With an autopsy complete on the body of the pop queen, officials with the coroner's office have said it might be weeks before they are ready to announce an official cause of death. Officials are waiting on the results of toxicology tests, which many feared could reveal the drug addiction Houston battled in recent years had contributed to her death.